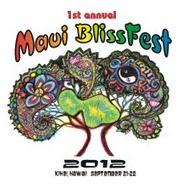 We are creating 2 days of Bliss ~ Maui Style! 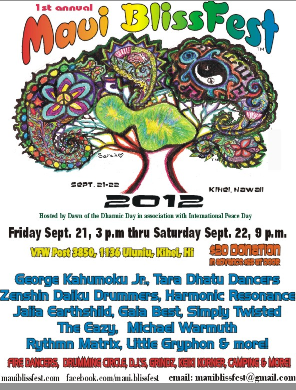 Children 12 and under FREE! 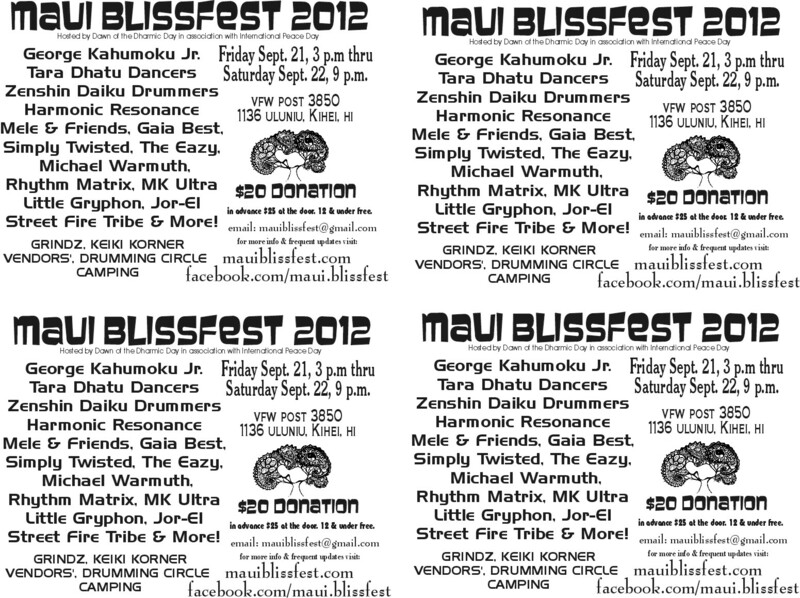 Maui BlissFest 2012 is the culminating event to the Summer of Peace, and is hosted by Dawn of the Dharmic Day (A Spiritual Oasis), on the Beautiful Island of Maui. September 21st is the International Day of Peace, and our events along with others around the world, will be on live feed through PeaceDayTV and the Shift Network. 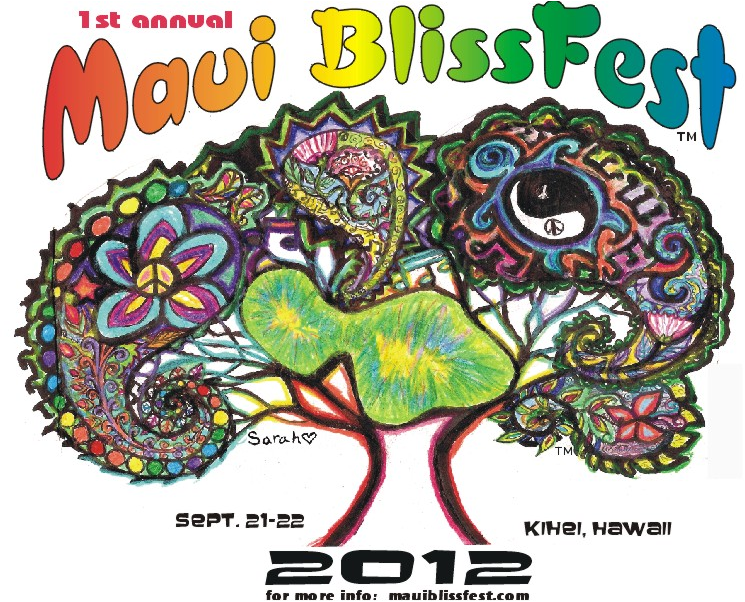 Come join us at our Beautiful Oceanfront South Maui location for Maui Blissfest 2012! Michael Warmuth fresh from L.A.'s Agape Choir, Musician JAM SESSION & More! 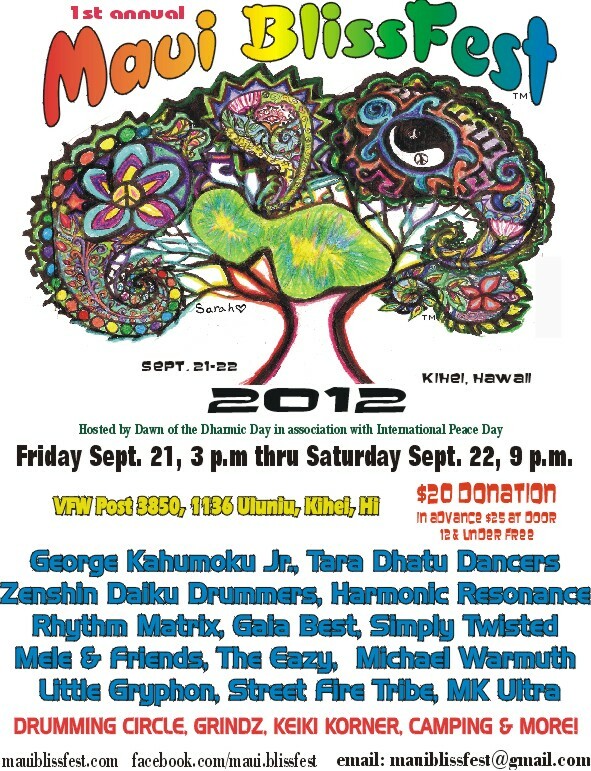 To purchase your ticket(s) via PayPal, click the icon below. 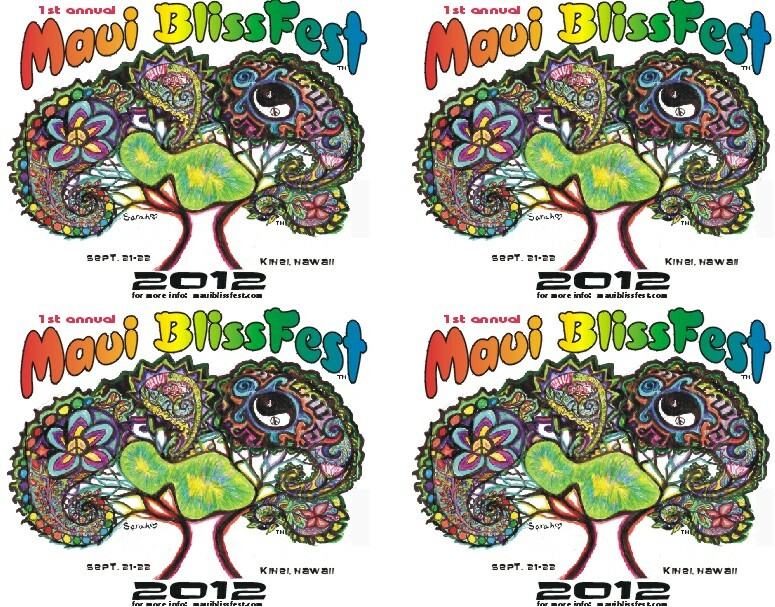 Click back soon for updates on local bands, and other fun activities!